Can The MiniSun SAD Natural Daylight Floor Lamp Really Aid SAD? 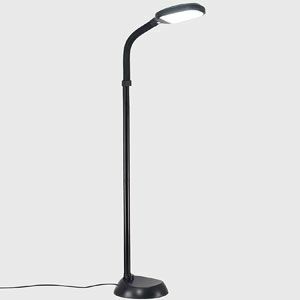 Most SAD lamps are desktop devices, but the MiniSun Natural Daylight LED Floor Lamp claims to offer something different. Here users can angle the light to illuminate the room via a floor lamp. This should work as a natural-looking light source to help with projects in the evenings. The question is, can this also help with SAD with this alternative design? 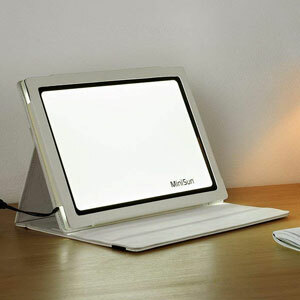 Does The Portable MiniSun LED SAD Light Therapy Lamp Really Help? Light therapy lamps are recommended items for those that suffer from SAD and other mood related conditions, but this MiniSun LED SAD Light Therapy Lamp takes the idea into a different direction. Most devices are large lamps with bright light sources and sometimes even an alarm. They are also a lot more expensive than this odd tablet-like device. A budget-friendly light pad sounds a little gimmicky, but does it actually work?